Once you are diagnosed with diabetes, you are a diabetic for life. That’s often said and it is true. Diabetes mellitus is a lifetime illness that involves high blood sugar levels which promotes complications if neglected. But it is not the high blood sugar level that kills you, it’s the complication. Hence, being a diabetic, one needs continuing medical care to achieve target blood sugar levels to prevent these complications. The burden of diabetes is steadily increasing globally. Because of rapid urbanization, change in nutrition brought about by the increasing popularity of fast food due to the busy lifestyle of the people, and increasingly sedentary lifestyles because of shifts in interests from outdoor recreational activities to computer-based, indoor activities, this new epidemic has grown in parallel with the worldwide increase in obesity. According to the International Diabetes Federation, 366 million people have diabetes in 2011 and will increase to 552 million by 2030. It was also reported that half of the diabetic population are undiagnosed – that is, 183 million people in the world right now, even more, has diabetes and they do not even know it. It was also noted that the number of diabetic patients have been increasing in every country but majority come from the low to middle income countries. Asia, having a lot of developing counties, has claimed the majority of the diabetic population. Studies show that under nutrition during pregnancy and improved diet in the years after birth put babies at an increased risk of developing type 2 diabetes mellitus in the future. Those babies that were born two to three decades ago when their countries were poor and nutrition was scarce are now enjoying westernized diet and lifestyle and this increases their risk of developing this metabolic disease even further as majority of patients are diagnosed in their 3rd to 4th decade of life. The burden of diabetes does not come only when one is diagnosed but since this is a lifetime illness, complications eventually set in and these are a major cause of disability, reduced quality of life, and death. Diabetes complications can affect different parts of the body manifesting in different ways for different people. Some complications are acute and some are chronic and slowly progressive. Diabetes is an illness manifested as an elevated level of blood sugar. Blood sugar or blood glucose is derived from the food that you eat. The food is broken down into smaller particles during digestion and becomes glucose. This glucose is then absorbed by the blood and is distributed to the different parts of the body. It is either used to produce energy or stored as glycogen. Sites of storage of stored glucose can be in the liver or muscles. In order for the glucose molecule to be converted to energy, it should be transported inside the human cell, once in the cell, a series of reactions take place and the end product is the release of energy that is used by bodily functions. But in order for the glucose molecule to go inside the human cell, it needs insulin to facilitate its transport into the cell. In simpler terms, the insulin is the key to open the gates of the cell in order for the glucose to go inside. So why does the blood sugar (blood glucose) in patients with diabetes becomes elevated and in normal persons, do not? As mentioned, the key for the glucose to enter the cell is the insulin, hence, insulin is a vital component of the entire process. In patients with diabetes, there could either be lack of insulin called insulin insufficiency or absence of insulin called insulin deficiency. The organ of the body that produces insulin is the pancreas. In diabetic patients, the pancreatic cells that produce insulin, the beta cells, slowly die sue to some factors, maybe genetic or acquired, and eventually, they do not produce enough insulin. When the insulin production becomes short of the requirement of the human body (insulin insufficiency), it does not effectively aid the transport of blood sugar to the cells, and the result is a persistently high blood sugar. There are many different types of diabetes. 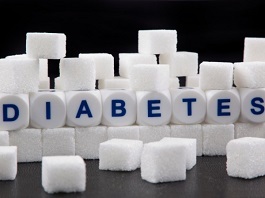 The two most common types are: diabetes mellitus type 1 and diabetes mellitus type 2. Diabetes mellitus type 1 is usually found in young patients – usually children. According to the International Diabetes Federation (IDF), 78,000 children develop type 1 DM every year. The cause of this type of diabetes is still debated but majority claims that it is due to an immunologic process that destroys the beta cells of the pancreas. Destruction of these insulin producing cells is so severe that is leaves the patient insulin deficient – total absence of insulin. Because of insulin deficiency, their blood sugars are very high and they are the patients who require insulin injections for life. Diabetes mellitus type 2 is the most common type of diabetes. It was once differentiated to be a type of diabetes found in the older population but it has changed over the years such that younger persons are now diagnosed with type 2 diabetes. There are two major dysfunctions in this type of diabetes – insulin resistance and/or insulin insufficiency/deficiency. Insulin resistance is a state of adequate insulin secretion, sometimes even increased insulin production by the pancreas called hyperinsulinemia, but the body does not respond to the effect of insulin such that it does not effectively regulate the entry of glucose into the cells resulting in elevated blood sugar levels despite normal or high levels of insulin production. The other cause of diabetes mellitus type 2 is the decreased and eventually the total absence of insulin production by the insulin producing cells, beta cells, of the pancreas. There are three factors that are usually associated with an increased risk of developing diabetes mellitus type 2 – genetic predisposition, sedentary lifestyle and diet. It is true that diabetes is inherited. Having one parent that is diabetic increases your risk of developing diabetes by 30% and this is a nonmodifiable risk factor as your genes can not be altered. The other two risk factors are modifiable, hence, diabetes can be prevented by practicing a healthy lifestyle. Treatment option for diabetes mellitus type 2 is variable and usually patient-based. Early on, diet and lifestyle modification are enough to bring back your sugar level to normal. If these approach is inadequate, pharmacologic measures can be started either in the form of oral antidiabetic tablets or insulin injections. Once you are diagnosed with diabetes, it should be a continuing effort both from you and your doctor to control your blood sugar so you do not develop the complications. It is very important as these complications are the ones that affect your life tremendously. With the advent of the new technologies in health, you have many options to achieve good glucose control and you must discuss this with your doctor. I am a freelancer who loves internet marketing, article writing, developing and maintaining websites. I frequent in online forums during my free time.